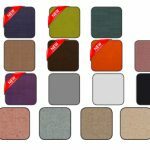 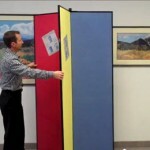 Standard Room Partition Color and Fabric Options Customers can choose from 28 colors of fabrics and 6 colors of vinyl to create a freestanding room divider that suits their needs. 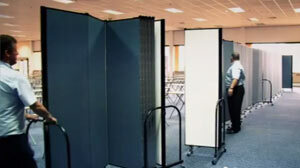 Stable Room Dividers That Last Screenflex has unmatched stability in Room Dividers. 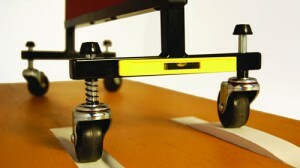 This is due to our frames that are wide at the bottom and narrow at the top. 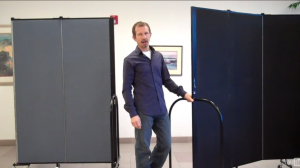 Portable Display Towers and Room Dividers by Screenflex Screenflex Portable Display Towers and Room Dividers are a great way to display art, brochures or pictures for your art show, school or company. 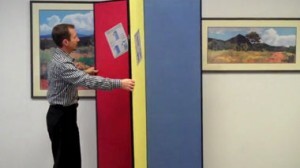 The towers come in 3 or 6 panel models. 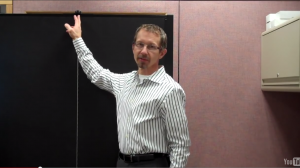 The 3 panel option gives you 6 tackable surface areas, and 12 surface panels with the 6 panel model. 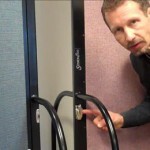 Divider Panels Connection Latch Option Screenflex provides a simple way to connect all their room divider panels. 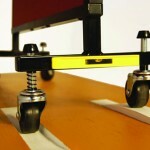 Self Leveling Casters Add Mobile Stability Screenflex Room Dividers are designed with self leveling casters that ensure the stability of your room divider on any surface. 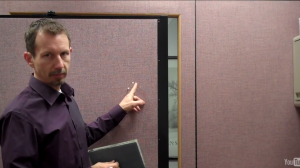 Tacking items onto Portable Partition Panels Screenflex portable partitions are designed to tolerate T-pins, thumb tacks, staples and cube clips. 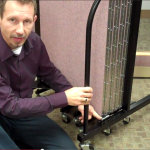 Screen Locks Used to Secure Divider Panels A "screen lock" holds divider panels together to make it easier to move the dividers. 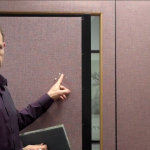 Locking Movable Walls Into Place A brief explanation is given on the difference between Position Control Hinges, which come standard on all Screenflex movable walls vs. Panel Locks that can be ordered instead. 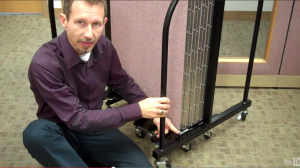 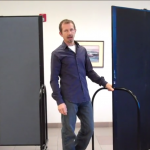 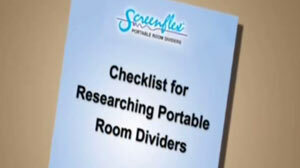 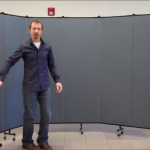 Positioning Movable Room Dividers A quick video sharing tips on how to set up Screenflex Movable Room Dividers. 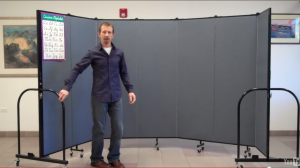 Arranging Movable Wall Dividers Follow these tips on how to bend and turn movable wall dividers at any angle. 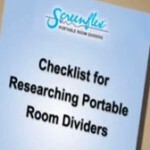 Features Customers Desire for Portable Dividers How do you know what to look for in portable room dividers? 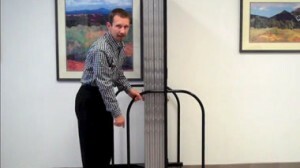 This video will explain the features and benefits of Screenflex. 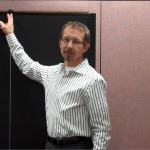 Video transcript included.